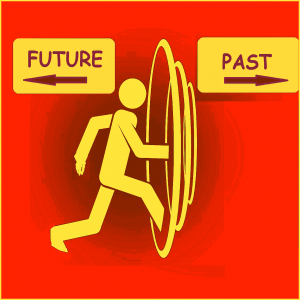 Training Your Replacement Who Got You Terminated: &#8216;Terminator&#8217; Time-Travel Logic? Training Your Replacement Who Got You Terminated: ‘Terminator’ Time-Travel Logic? Being forced to train your job replacement who got you terminated can understandably make you, as the booted employee, feel as though you’ve been sucked into the vortex of the bizarre and paradoxical time-travel loop in the Arnold Schwarzenegger “Terminator” series. It would not be at all surprising if some of the furious and confused Southern California Edison IT workers recently forced to train their replacements—and foreign workers, to boot!—feel exactly like that. Recall, in the “Terminator” series, future killer robots, human-protector robot and human resistance-fighter travel to the past and battle to change history by destroying the people and/or technology otherwise destined to obstruct or create that evil robot-dominated future. Can Bosses Also Dismiss “Terminator” Logic? 1. THE “MR. MIYAGI” ARGUMENT: What is (rightly or wrongly) said of teachers—namely, “Those who can, do; those who cannot, teach”—can apply in specific cases of replacement by one’s trainee. It is entirely possible that a given employee can teach skills, standards, rules, regulations, procedures, processes, use of tools and infrastructure, etc., but simply can no longer apply them as effectively as a carefully selected, eventually well-trained fresh replacement. This is the “passing the torch” or “Mr. Miyagi” argument used to trigger, legitimize or otherwise capitalize on forced or de facto retirement. “Mr. Miyagi” was the wise, wispy Japanese karate teacher in the original “Karate Kid” flick, who, although no longer energetic and young enough to fight in ferocious tournaments was experienced, knowledgeable and seasoned enough to train a scrawny, bullied kid to do precisely that (in a do-jo, and through “the way of the warrior”—bu-do [both pronounced "dough", however]). 2. THE COST-EFFECTIVENESS ARGUMENT: Perhaps the most commonly cited rationale for forcing a sacked employee to train a replacement, this argument is also among the most compelling in citing and justifying a key factor: cost-effectiveness. Obviously, if the replacement trainee will within a reasonable time frame become as productive and efficient as the ousted employee and if the training costs (including temporary zero productivity) are acceptable, investing in the replacement is not only smart, but also not stupid—as would retaining the trainer in the “doer” job (at least from the employer perspective, however narrow). However, the replacement worker doesn’t have to ever be as good as the replaced employee—if, in terms of cost-benefit analysis, inferior qualitative performance can be justified, e.g., through higher quantity of output (e.g., of manufactured goods sold at a lower price, but in more than off-setting higher volumes), despite lower quality. So, from the cost-effectiveness standpoint, employing a replacement worker can be cheaper not only because of the commonly-cited lower wage or greater work-quality rationales, but also or instead because his or her inferior output can through quantitative ramping-up still generate higher profits (on the assumption that the replacement worker can and will produce more than his booted trainer). 3. THE RESTRUCTURING JOB-OVERLAP ARGUMENT: Lower costs, higher profits and failing skill may have nothing to do with being forced to train one’s replacement. Consider this scenario: Because of technological innovation, a merger or acquisition, the advice of consultants, etc., a company embarks on a radical restructuring of operations and job descriptions. The replaced employee’s skill set, although perfect for the current job, suddenly becomes insufficient for any of the new or redesigned jobs, despite some overlap with any of them. The rookie replacement, however, has more than enough of the requisite skills to take on the newly defined responsibilities—if (s)he can quickly enough acquire the replaced employee’s knowledge and some, not necessarily all, of that employee’s partially relevant skills, appreciation of the policies, procedures, etc., and learn enough of the ropes to warrant “hanging” the displace worker (out to dry).